These are definitely not the subways tunnels that we are accustom to seeing, the railways listed here travel where the air is the thinnest. It must be interesting to ride on these railways and simply enjoy the scenery as the trains move along the highest of highs. 6. Salta-Antofagasta: La Polvorilla, Argentina-Chile. Also named Huaytiquina, an old nickname for the pass on which the railway is built, this track connects Argentina and Chile along the Andes Mountains. 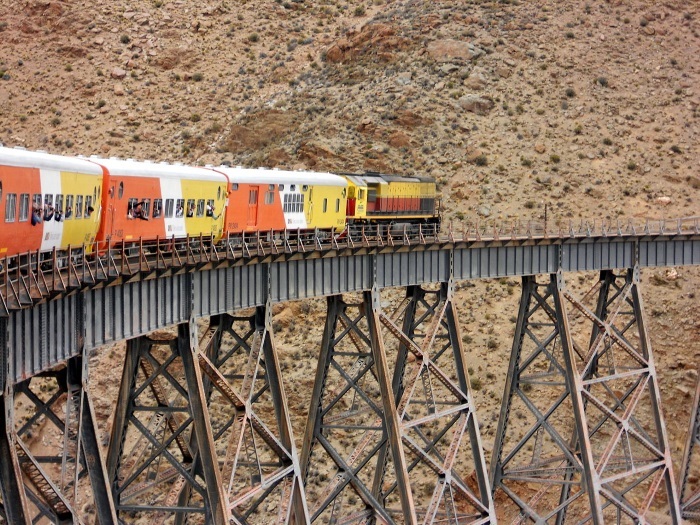 The tren a las nubes, which means ‘the train to the clouds, is a fifteen-hour round trip which covers four hundred and thirty kilometres, from Salta to the Polvorilla viaduct and passes through and over many bridges, viaducts, and tunnels – there are even two spiral sections of track!